Of the 20 or so persons at last night’s council meeting that convened at 7:06 pm and ended at 9:06 pm, only 10 were citizens. In the assembly were media, borough employees, clergy and few others with special attachments to government. Two of the citizens brought up the situation of airBnB-like properties operating in the borough. One home-owner citizen cited a property across the street from her home that has different “non-related” persons occupying the house every weekend, it seems. The borough is in the process of studying and adopting an ordinance about these short-term rentals. and here’s a yesterday article about how Chicago just began addressing this from The Chicago Tribune. Friday Night Columbia’s “Movies under the stars” | Friday, August 17th – Locust St. Park Music by “Underground Hotel” 6:30-8:15. Followed by “Peter Rabbit” plus EDIBLE CLASSROOM ACTIVITY FOR KIDS! LOITERING/PROWLING — MULTIPLE WARRANTS — FRAUD – DOOR TO DOOR COLLECTION FOR BASKETBALL ORGANIZATION — THEFT FROM A BUILDING — THEFT FROM A VEHICLE — ANIMAL COMPLAINT/STRAY ANIMAL | Just some of the criminal activities the Columbia Borough Police Department dealt with yesterday. – Columbia Police Department CrimeWatch page. Confused about what you’ve been hearing about recycling? | “Here’s what the Lancaster County Solid Waste Management Authority says we can recycle: What Can Be Recycled? Only these materials can be recycled. Think of them as the ‘Big 4’. Everything else should be placed in your trash. If you aren’t sure, remember this phrase: ‘When in doubt, throw it out!’ LCSWMA will transform discarded waste into renewable energy. 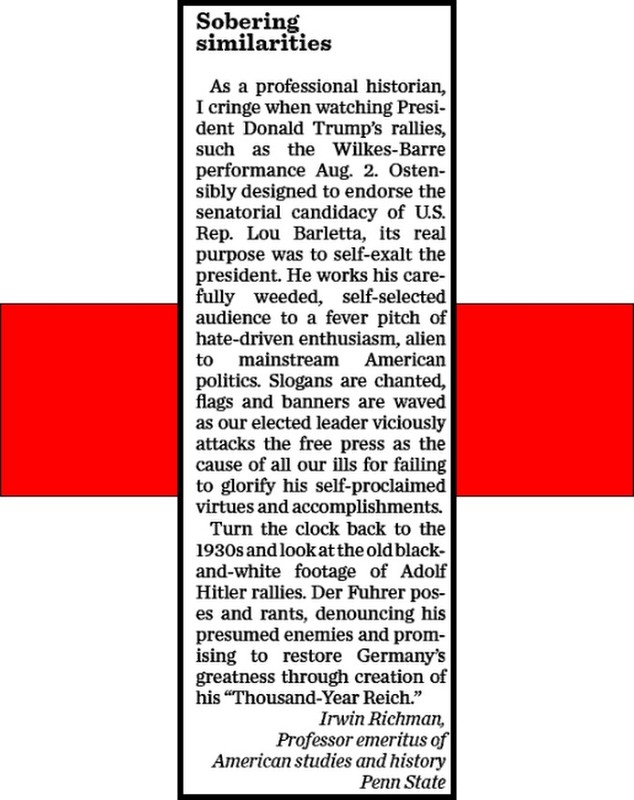 Another letter to the editor in today’s LNP – Always Lancaster.